Cristina Martínez, celebrity chef and Capulhuac native whose story was recently shared on Netflix, sits down with SPR. If you happen to walk through the Italian Market on any given weekend, you may notice a flock of folks lining 9th Street halfway toward Washington Avenue. The crowds, who sometimes surface as early as 5 a.m., are usually looking to satisfy cravings for marinated lamb tacos made in barbacoa style — a method of meat preparation derived in the Caribbean. But the foodies could also be snagging a glance of Cristina Martínez. Some time ago, when the South Philadelphia culinary and activism paragon trekked through a northern Mexican desert for weeks, she never could have imagined where life on the other side of the border would lead — a feature on Full Frontal With Samantha Bee or the subject of the September season five premiere of Netflix’s Chef’s Table, to name a few. Martínez, who is open about her undocumented status, fled to Philadelphia to escape an emotionally and physically abusive marriage several years ago while also looking to make money toward her daughter’s school tuition. Before arriving here, Martínez dedicated nearly her entire life to the barbacoa business with her family, as she was born and raised in Capulhuac — a town near Mexico City considered to be the capital of this BBQ-esque cooking. After working alongside her father and later her former husband, Martínez had more than mastered the artistry of barbacoa — from wrapping the meat in maguey cactus leaves to marinating the lamb in orange and salt. “It’s not something to throw on your menu, because it’s a buzzword or something. It’s a real, dedicated craft,” Miller explained. 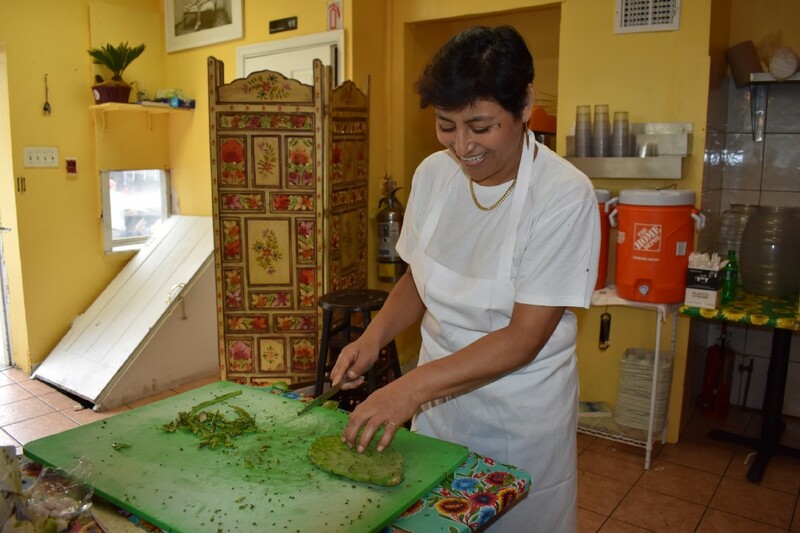 But, when she initially relocated to Philly, Martínez was not whipping up her signature dish just yet, as she knocked from door to door of restaurants looking for a job. While working as a dishwasher, vegetable cutter and then a pastry chef for restaurants around the city, she eventually met her current husband who was also working in the kitchens. After falling in love and getting married, Martínez sought to receive a green card, but when she went to her boss for a reference, she was abruptly fired. Still needing to send money to her daughter, Martínez and Miller began preparing lamb barbacoa in their apartment at 8th and Ellsworth. Her rendition of this traditional Mexican dish, which was primarily serving booming Hispanic communities in the Passyunk Square, Dickinson Narrows and Wharton neighborhoods, grew so popular that she was even catering weddings out of her own kitchen. When the couple later moved their service to a cart parked at 8th and Watkins, the cuisine became a supernova, landing accolades from national and regional publications and critics, including Craig LaBan. However, Martínez was ultimately put on the map when the first version of South Philly Barbacoa — located off of East Passyunk Avenue — was billed number №6 in Bon Appétit’s 2016 issue of America’s top 10 best new restaurants. 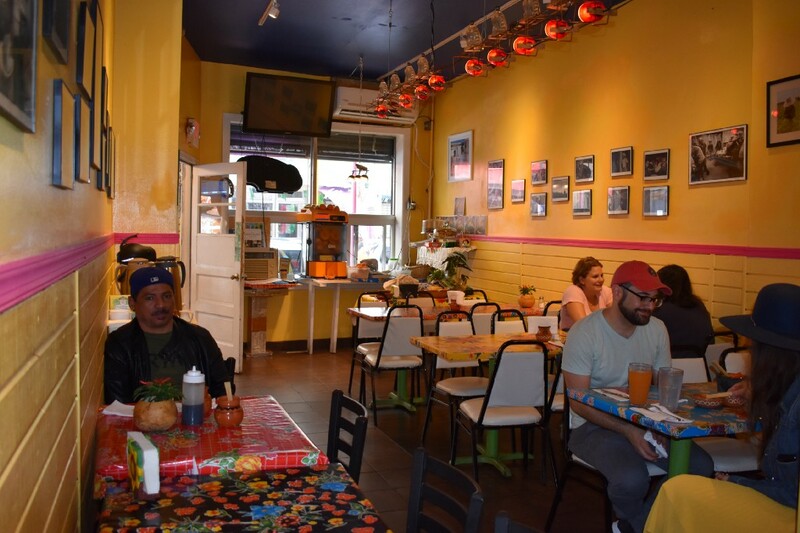 Although that location closed, eventually, El Compadre, her second restaurant and also the brainchild of Martínez’s late son, opened on 9th Street just south of Ellsworth and across the street from the second South Philly Barbacoa located on the corner. Along with scenes in Capulhuac, the majority of the Chef’s Table episode — a visual narrative that not only depicts Martínez’s milestones but also conveys her values — was filmed in El Compadre during August 2017. One scene of the episode is actually set in Lancaster, as the restaurants maintain an exclusive patch of organic and indigenous corn used to produce their own tortillas. The crops even receive traditional Aztecs blessings, as featured in the episode. The seeds themselves were transported over the border from a community in Capulhuac. The corn is merely one element of an exquisite execution used to compose the barbacoa tacos in the South Philly eatery. In fact, the new restaurant, which is dedicated to the dish, is only open on the weekends, because the staff of about a dozen spends the workweek importing the corn, slicing the cactus leaves and preparing the mammoth amounts of lamb meat — about a half a ton for one weekend, Miller says. Aside from estimating that roughly 1,000 dishes were recently served in just one day, he also says Martínez has been flooded with fan mail from around the world since the Netflix premiere last month. And while Martínez has garnered global praise in recent months, her paramount purpose lies with hushed hands cooking and cleaning in secluded kitchens of local restaurants. Every day, she fights for the political and social equality of undocumented workers in Philadelphia. Last year, the couple helped influence a city council resolution that worked toward “recognizing every person’s fundamental right to earn a living, regardless of immigration status, and affirming the City of Philadelphia’s commitment to protect and secure a safe and dignified workplace for all,” as described in the resolution, which was approved by the governing body in April 2017. That same month, Mayor Jim Kenney awarded Martínez the 2017 Nationalities Service Award, commending her advocacy for immigrants. She strives to shed light on working conditions most immigrants right here in the city are forced to endure, like salaries below minimum wage and inadequate and often dangerous kitchenware. In light of recent crackdowns by the U.S. Immigration and Customs Enforcement, Martínez says, at any given moment, she and her barbacoa staff are ready to close their curtains and return to their countries — a reality they brave every day. For now, though, Martínez, who speaks minimal English, continues to wholeheartedly articulate her advocacy through one avenue — food.